“... That was after the cervix had opened up and the baby had started coming out. So they were telling me to stop pushing and wait for the doctor yet the baby had started coming out. Like you may be feeling pain and you are calling out ‘doctor, doctor’ then they just say to each other ‘leave that one alone we are used to her’. So by the time they come, the baby may have already come out”. Contrast this to my experience of giving birth to our first child in a Canadian public hospital. My labor took 14 hours, fairly standard for a first delivery. And I was never alone, not for one second... During the hardest parts, I had three caregivers with me. If someone needed to leave the room, one of them would always remain behind. Childbirth is amazing and beautiful. It is also totally overwhelming. It is not something a woman can or should do alone, in any country. This is not about being strong or weak, rich or poor, this is not tribal. This is about being right (that we celebrate once a year on this day) that all women have to dignify, quality care during childbirth. And this is the standard we must reach in Africa. All African women have the right to never be abandoned during childbirth, and we must do better. “The issue of mothers saying nurses are bad must be dealt with in the community. They should be informed that nurses are not bad. Ideally, any mother who has delivered in a hospital is slapped on the thighs to facilitate or encourage her to push because if the mothers do not push the danger is obvious”. This perspective is combined with research findings that women themselves believe that physical abuse is justified to make women ‘cooperate’ and ‘focus on the birth process’. In other words, physical abuse is acceptable and is in the interests of a safe delivery. This is ridiculous. Those of you who have delivered a baby will agree that when you are in labor, there is absolutely nothing else you are capable of focusing on – other than the birth process. It’s preposterous to say slapping someone doing the hardest job of her life will in any way help her to do that job. Unfortunately, this mentality is widespread. 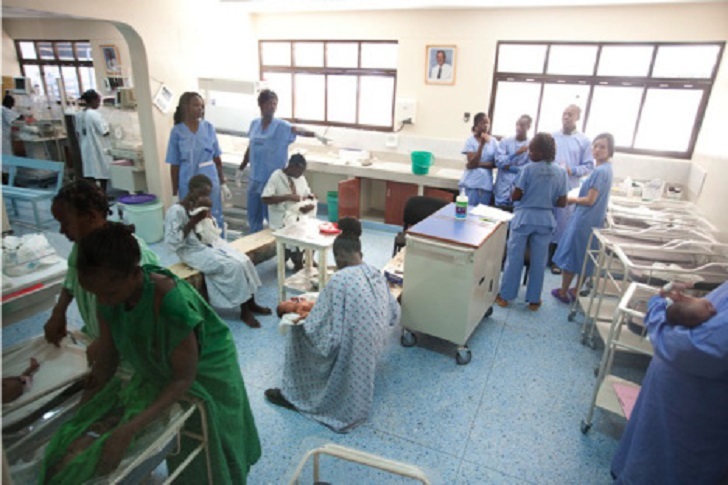 The justification of slapping women during the second stage of labor, or to comply during vaginal exams, has emerged as a common theme in the training we’ve provided to health workers in Africa on a rights-based approach to maternity care. Last year on this day I called on all of us to recognize that failures in the health system play a role in creating the working conditions in which health workers mistreat their clients. This remains true. This year, I would like to call on my fellow nurses to think deeply. We must stop hiding behind excuses, and we must hold each other accountable. I believe that deep down, we all know that it is wrong to slap or pinch a woman in labor. This is not how we were trained. The writer is the team leader for Options in Kenya working on improving access to quality maternal health services.